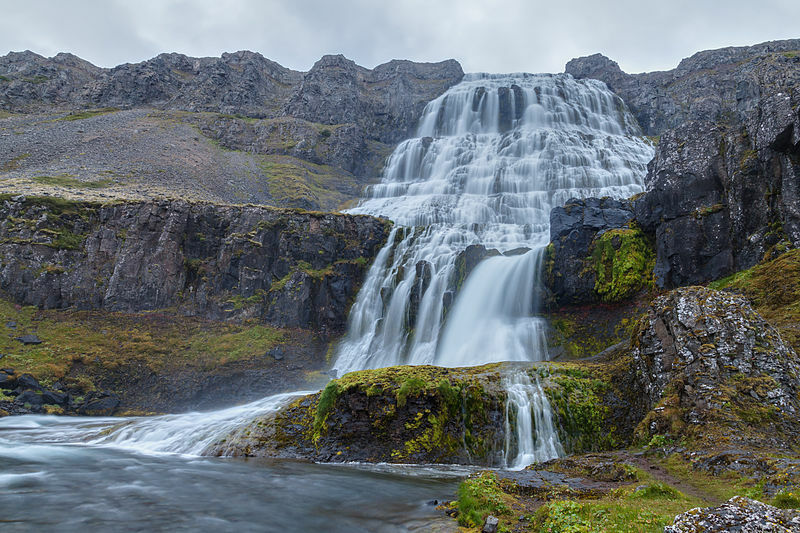 Dynjandi Waterfall on the north-west coast of Iceland drops down from earth sign Capricorn into fire sign Sagittarius, the fire sign marking the energies set free by the ever falling water. The coordinate for the astrogeographical longitude lies right on the cardinal divide between fire sign Sagittarius and earth sign Capricorn. Sagittarius the 9th structural element has a strong relation to rainbows and the resonance with all phenomena that allow the visual perception of the full spectre of colours which is typical for waterfalls. Capricorn is the sign of mountains and of high and highest altitude with only Aquarius the equivalent of the sky itself higher than Capricorn. In my experience in astrological measurement of surface field structures I have frequently observed how the divides between Capricorn and Sagittarius and Capricorn and Aquarius mark differing levels of altitude in the landscape. The coordinate for the astrogeographical latitude is located right on the divide between air sign Libra and water sign Scorpio.